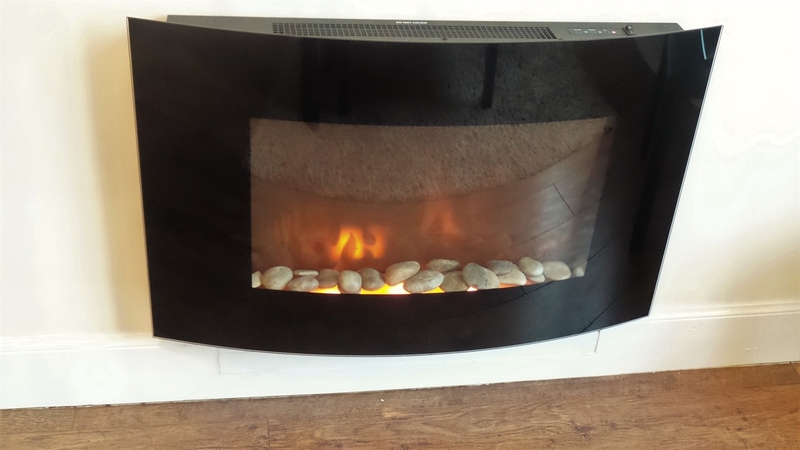 Situated in Larbert, 5 miles from the Helix and 3.7 miles from the Falkirk Wheel. 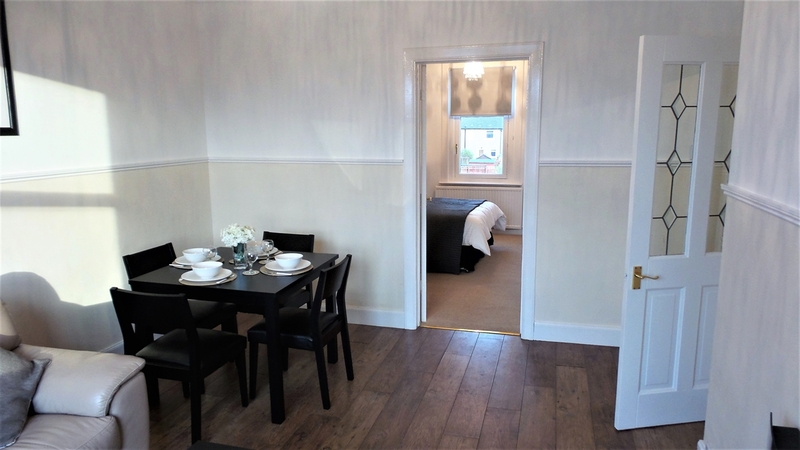 5 minute walk from Larbet Train Station offering direct links to Edinburgh(within 40 mins)and Glasgow (within 30 mins). Perfect home from home. Experience world class service staying at Kelpies Serviced Apartments. Enviably located in the quiet town of Larbert, only 25.5 miles from Edinburgh, 19.9 miles from Glasgow and 8.1 miles away from Stirling, this apartment has been furnished to a high standard throughout. 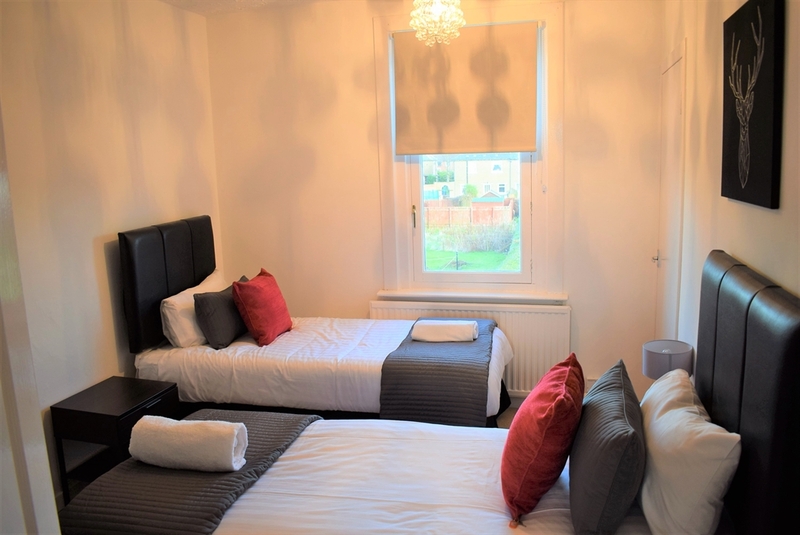 All major cities are easily accessible via Larbert Train Station only a short 5 minutes walk away from the apartment. Free wifi access is also available and there is large free off street parking. 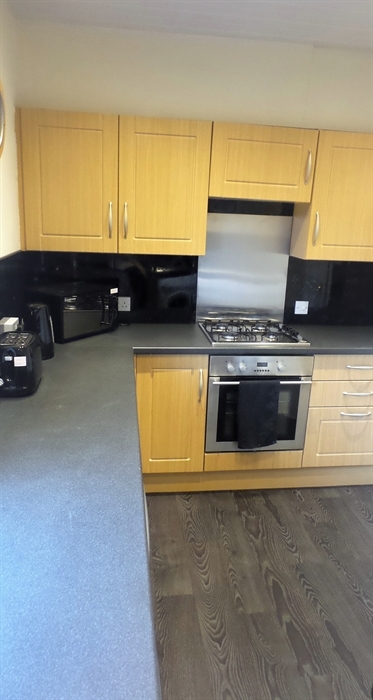 The apartment features a fully equipped kitchen with modern applinces including oven, fridge, freezer, microwave, toaster, kettle and washing machine. The apartment can accommodate up to 4 guest and amenities such as luxurious bed linen, towels and free fast speed Wi-Fi are also provided. 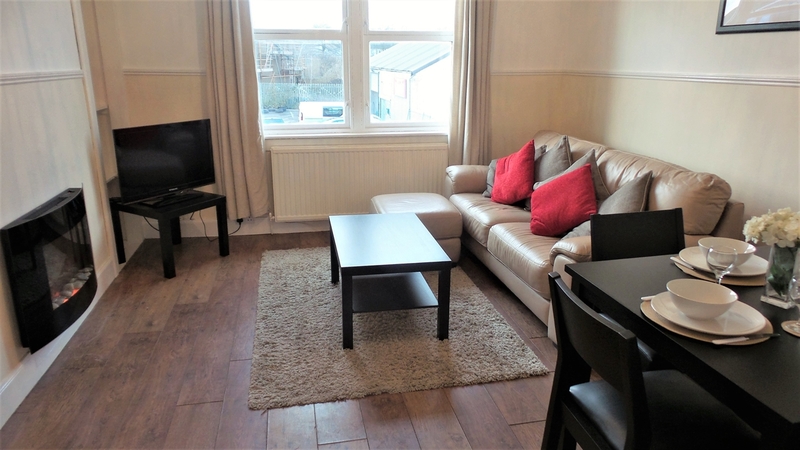 The two bedroom apartment is equipped with a living room with a flat screen TV and electric fireplace, a fully equipped kitchen with oven, stove, fridge & freezer, tea/coffee making facilities, toaster, kettle, washing machine and microwave. Edinburgh airport is 24 miles from the apartment. Discover central Scotland from our fantastic Larbert apartment. In a quiet, green area of the town, you are well placed to get out and explore the countryside or zip off to business and leisure destinations in Edinburgh and Glasgow. 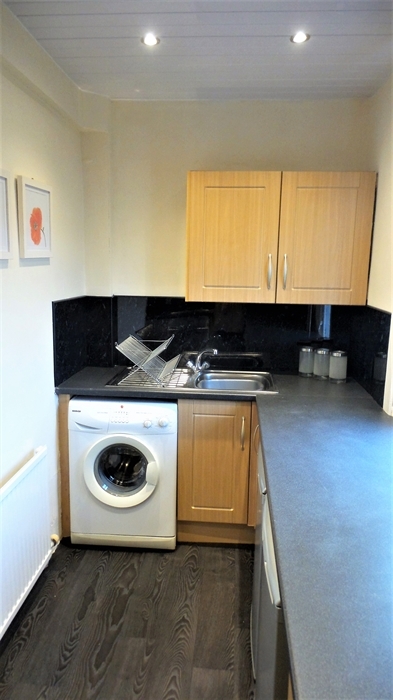 The apartment is situated 10 minutes away from local supermarkets such as ASDA and there is also a small convenience store 100 yards from the apartment. Only a short walk to Larberts Forth Valley Hospital and Larberts Business Park.